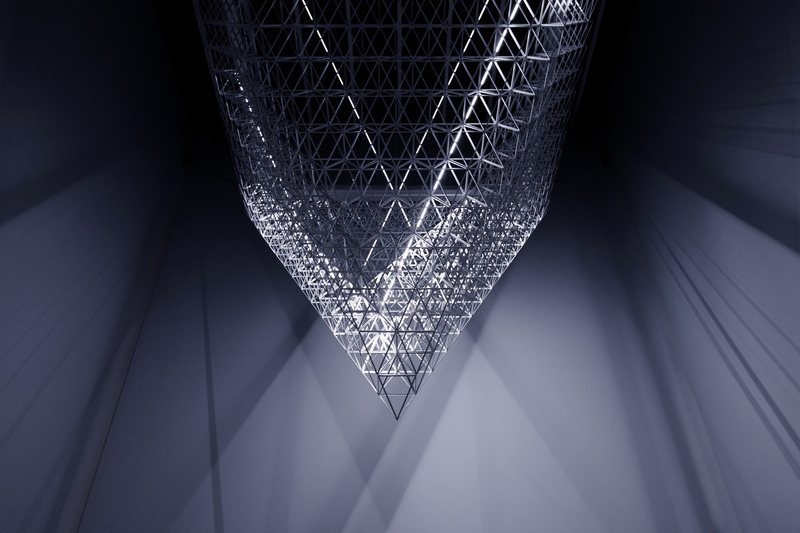 Fragment is a site specific installation that investigates our (in)ability to correctly interpret the surrounding environment. 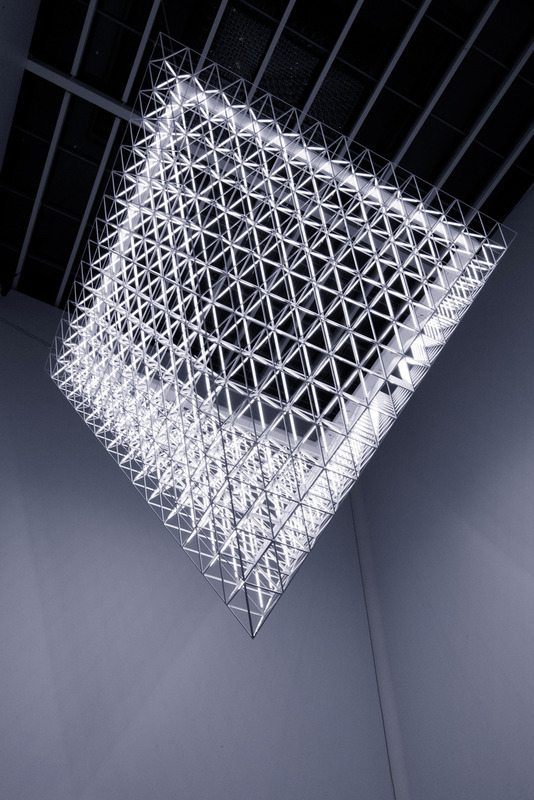 The work continues the studio’s ongoing study into scientific models of nature and their experiments in utilising light as a formable material. 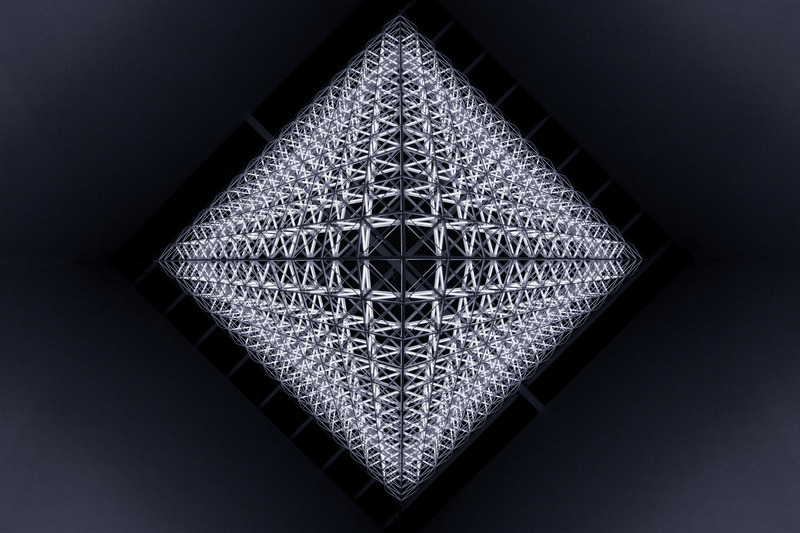 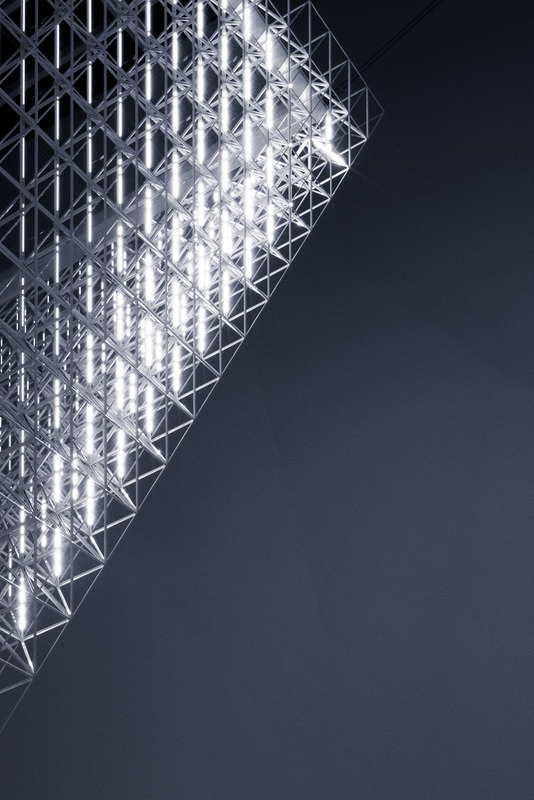 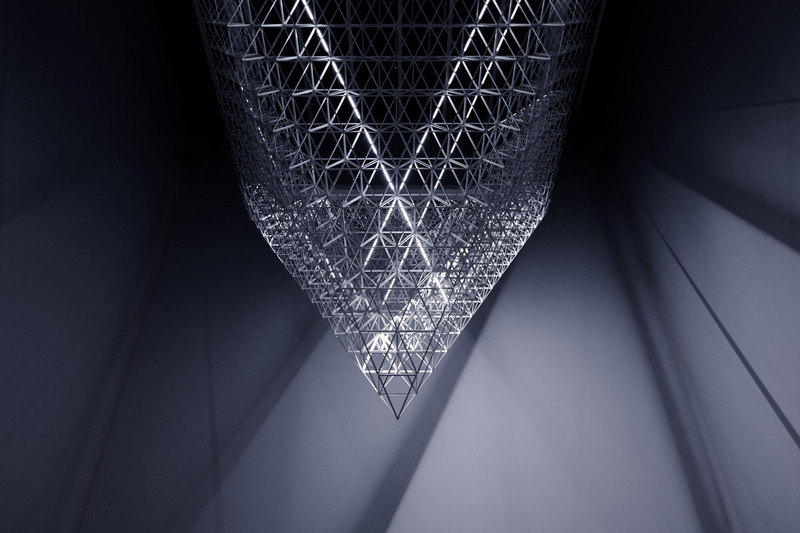 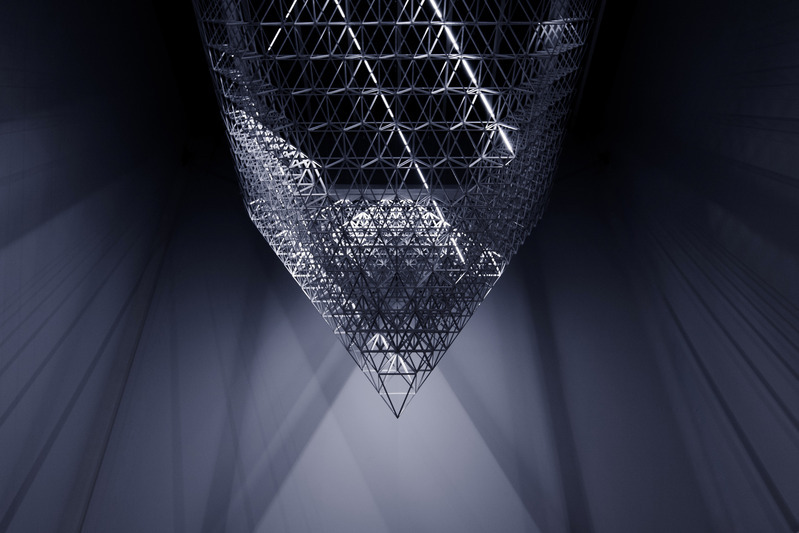 421 octahedron frames are assembled to form an inverted pyramid, suspended in a day-lit atrium, catching and reflecting light downwards into the space. 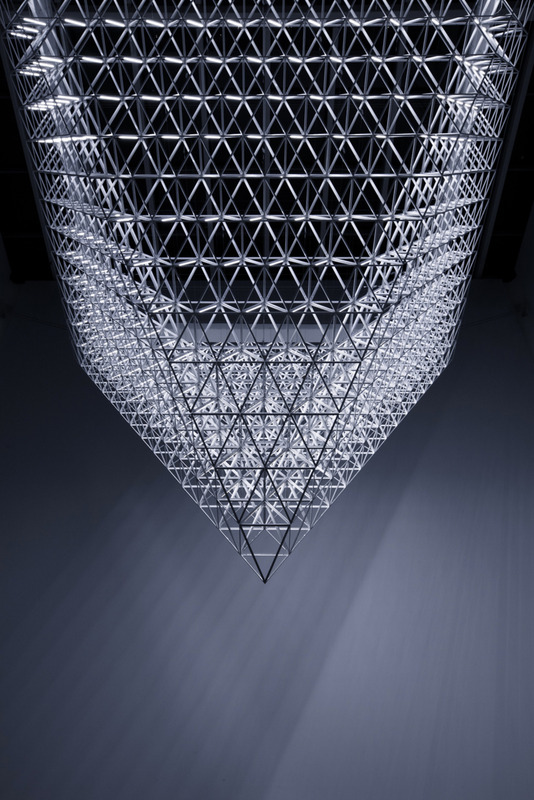 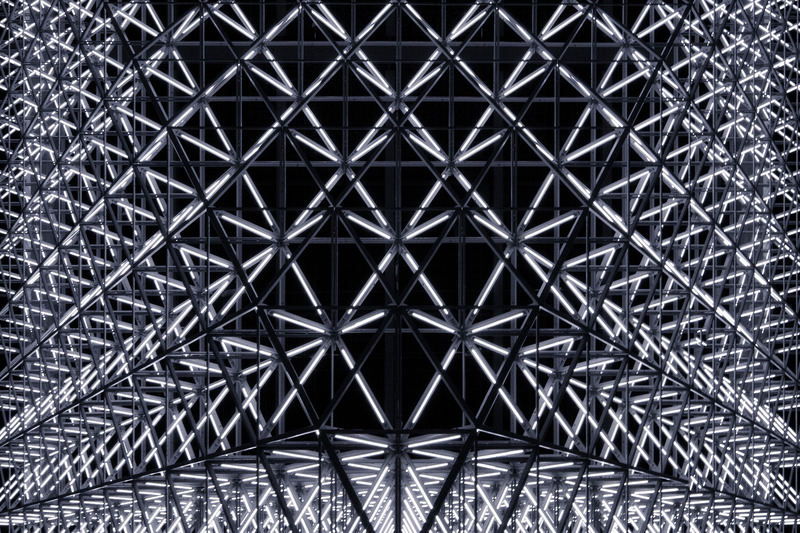 Artificial white light is animated within the structure to create fragmented images.